Property owned, controlled or managed by Charing Parish Council. Built 1890s. Previously the parish used The Victoria Hall – above the Royal Oak, The High Street, Charing. Owned by the Parish, managed and maintained by CPC. The Cemetery – including the entrance gate and vestry. Owned and managed/maintained by CPC. The wall between cemetery and picnic area our property – built for us in the 1990s.. War graves are our responsibility, we are given funding by W.G.C. Grass cutting paid for/managed by CPC. Location: A20 Maidstone Road, Charing. Gift to Charing by brewers Style and Winch of Maidstone. Owned by village, managed by CPC. Area from A20 to just beyond Austen’s Oak – i.e. beyond the fence. Includes all play equipment and seats. A20 fence and internal fencing CPC responsibility. High brick wall not owned by CPC but properties in The High Street. Registered Village Green. Grade 2 listed as is its wall surrounding it. Listed wall cannot be removed. Owned by CPC. Public seats. Meadow has restricted use, cannot dig below turf without special permission from KCC Archaeological department. Purchased by CPC late 1990s. Seating. Owned/managed by CPC. Double-sided noticeboard in Market Place near Clewards Garden paid for owned and managed by C.P.C. Note. Our first registered Village Green is owned by ABC and is the strip of grass between Clewards Meadow wall and The Market Place car parking area! Has copper beech tree on it. Location: Leacon Lane, Westwell Leacon, Charing. Owned and maintained by CPC. Owned by CPC. Play equipment owned/managed by CPC. Heathens F.C. Play home games there with permission. Location: A20, Maidstone Road, Charing. Owned and maintained by CPC. Seating and picnic table and seats. Wall between picnic site and cemetery built and owned by CPC. Long lease from ABC to CPC. CPC maintain. At one time owned by East Kent Road Car Co and Maidstone and District but disowned by new companies. Some owned by CPC others not! Hart Hill: Both belong to CPC. C/Heath side replaced as previous was stolen. School Road: South and north owned by? If we want to keep them we have to maintain them! Old Ashford Road: Not ours but as above maintained by us. A20 Ashford bound at the Crematorium. Not ours but as above maintained by us. A20 Charing bound outside the Crematorium. Used to have one – burnt down. CPC notices of agenda, minutes and others must be displayed on these boards 3 clear working days before CPC meetings. Charing Heath Road corner of Wind Hill. Charing Hill – by the entrance to The Wynd. Junction A20 with The High Street (2). Facing roundabout at end of School Road. Some owned by ABC, some by CPC and some by Arthur Baker Playing Field Committee. Your Clerk knows which is which. Emptied by ABC. With the exception of the Cemetery and Parish Hall, all the above are the responsibility of the Open Spaces committee. The cemetery is the responsibility of the Cemetery committee. The Parish Hall is the responsibility of the Parish Hall committee. The Market Place and first Village Green above. The Arthur Baker Playing Field – incl. the Scout Hut/Bowls Club area. The Alderbeds and car park. The grass area at junction of A20 and The High Street – the seats are ours though. All open spaces within Charing Green. Children’s play area at Hitherfield. Open spaces in and around Downs Way and Sayer Road. Grass verges and foot paths. 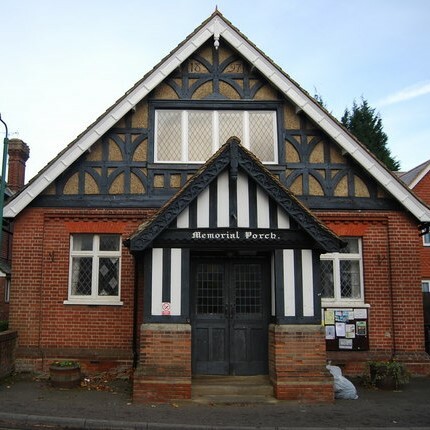 It is owned by the Parish Council and managed by The Moat Management Committee on behalf of the Parish Council and for the benefit of all residents of the Moat Estate.